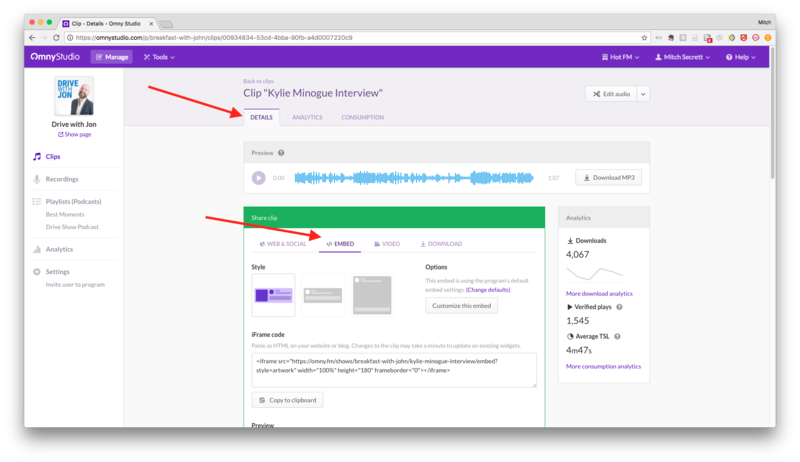 Here's how to embed a player for your podcast on your website. 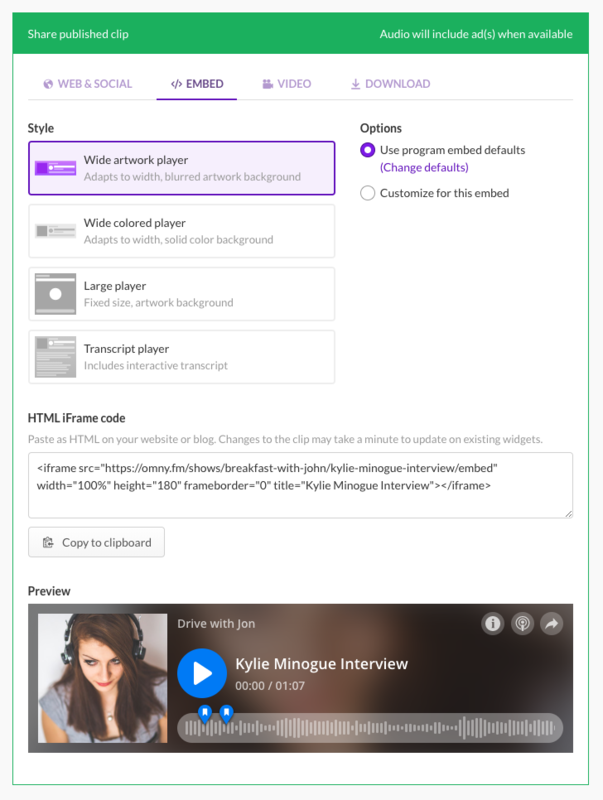 Omny Studio generates two kinds of players for your audio: single clip embed and playlist embeds. To find the HTML code for these players, click on the clip or playlist you want to share and go to "Details". Select the "Embed" tab and choose which embed you'd like to use. Note: the embed iframe HTML can be manually adjusted for other size options, but some sizes may not be appropriate for the style option. Embeds can be customized individually or options can be set as defaults for an entire program in "program settings". Custom colors: override the embed's highlight colors (shown on the play button and waveform played section), background color (only applicable to the wide style) and text color (only applicable to the wide style). Embeds can also be manually tweaked to enable further functionality. Play from: add &t=5s to the end of the iframe URL to start the player at a specified time. The time format is ##m##s for minutes and seconds. Hide playlist in playlist embed: you can manually hide the playlist list in a playlist embed to simulate an automatically updating embed by adding &list=0 to the end of the iframe URL. Remember to also adjust the embed height appropriately.